Phytophthora blight (P. capsici) and bacterial leaf spot (BLS) are the two greatest pathogen threats to pepper production in New Jersey. 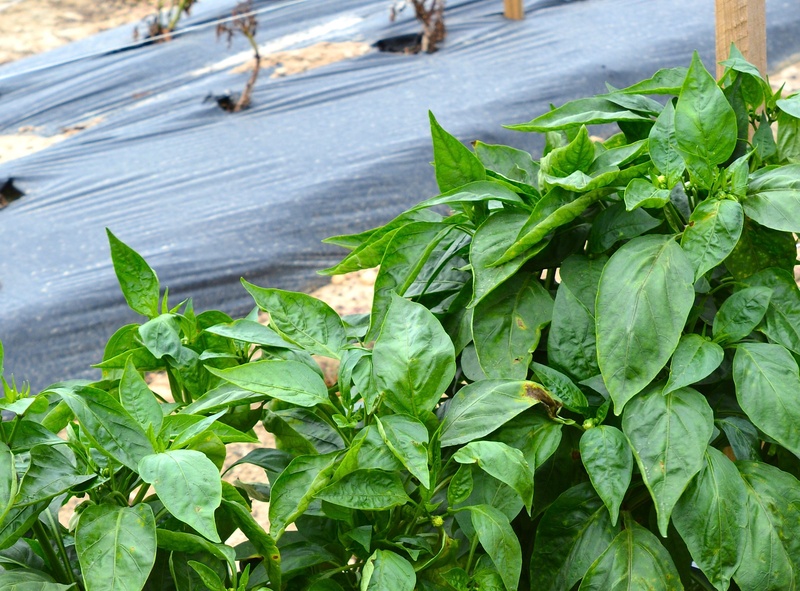 Articles in the Plant & Pest Advisory, such as Phytophthora Control During Wet Weather, Controlling Phytophthora Blight in Pepper, and Bacterial Leaf Spot Update, have talked about why growers are experiencing increasing crop losses due to P. capsici and BLS. Work on mitigating the impact of these pathogens has been on-going for decades at the Rutgers Agricultural Research and Extension Center. Among the many pepper varieties evaluated at the farm, the new Seminis hybrid, Turnpike, has generated excitement for its fruit quality, yield potential, and resistance against both Phytophthora blight as well as bacterial leaf spot races 0-5 and 7-9.
at RAREC’s Vegetable Twilight Meeting & Research Tour. 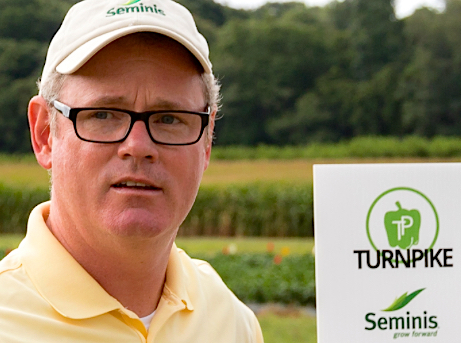 Seminis bell pepper breeder Bill McCarthy has worked for many years to develop Turnpike, seen here in the foreground.